In Fathom you can import your budget data from an Excel (.xlsx or .csv) file, regardless of the financial data source (Xero, QuickBooks, Excel, etc). To import your budget data go the company setup and in 'Step 1: Update Data' select the ‘Add a budget' button. To create a file for import, simply use the ready-made import template or create your own budget import file. 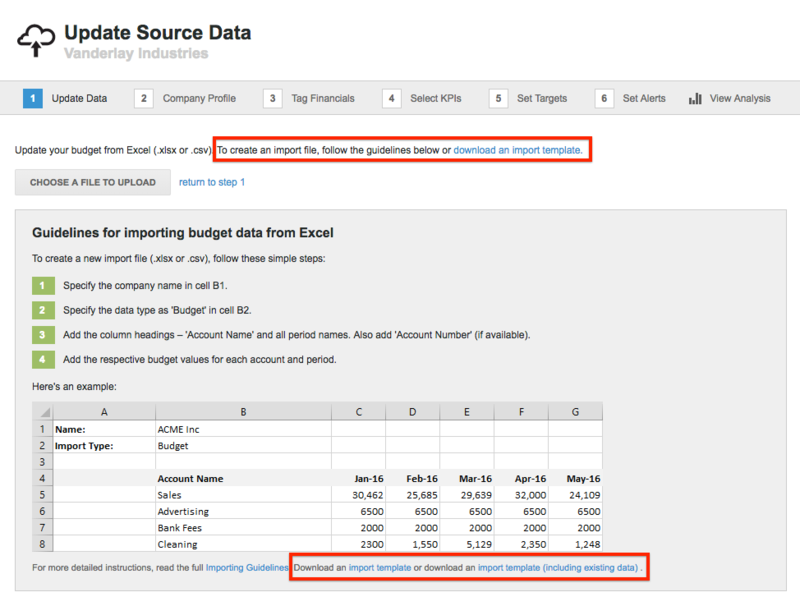 After your company financials are imported, you can download an import template for your Excel budget by clicking the "Add a Budget" button in Step 1 of the company setup, selecting the Excel option, and then downloading an import template using one of the links highlighted in the image below. If your financials are already imported, this budget template will reflect your existing chart of accounts, so you'll just need to add the budget figures, and you're ready to go. Specify the company name in cell B1. Specify the data type as 'Budget' in cell B2. Add the column headings – 'Account Name' and all period names. Also add 'Account Number' in a separate column (if available). Add the respective budget values for each account and period. Tip: You'll need to ensure that the budget is contained in the first worksheet of the spreadsheet for the import to be successful. After you have created your import file, import this file by selecting 'Choose a file to Upload'. You can update your budget data in Fathom by importing a new or revised budget import file. The update does not have to contain every period but it must overlap or join onto the existing budget date range. Only the periods you include in the upload will be updated. We recommend keeping the whole budget (for all periods) in your excel file as the source of truth and updating Fathom with the whole budget each time you import. 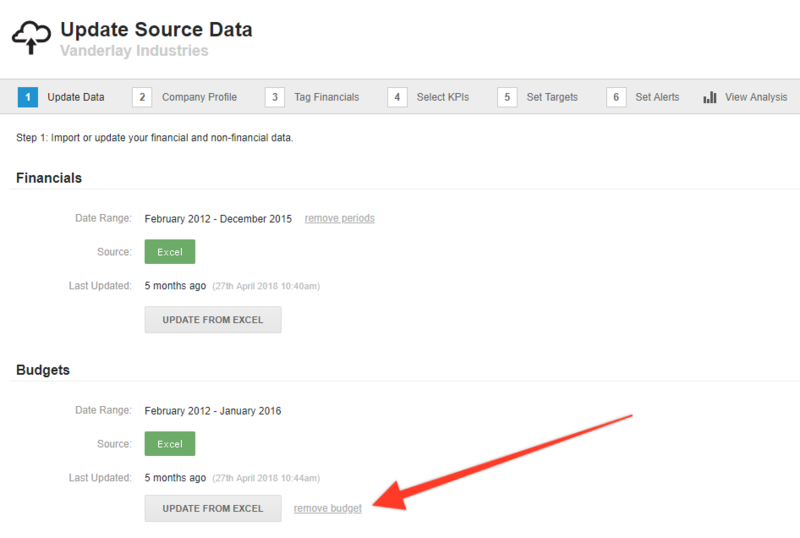 You can easily remove a budget in the company setup under 'Step 1: Update Data'.